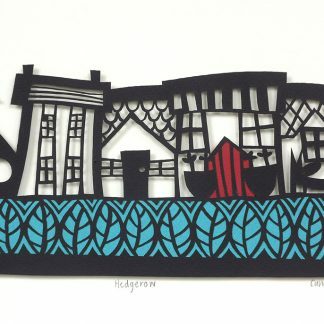 Caroline combines her contemporary and stylised design with the traditional technique of paper cutting. 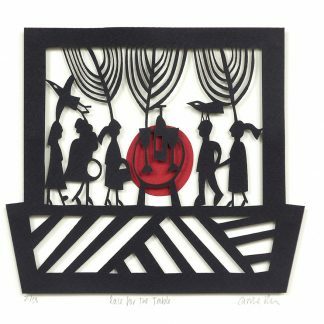 She loves simple, bold and graphic imagery and is inspired by primitive art, Scandinavian textiles and her Welsh heritage. She likes to create quirky and humorous designs which make you smile.